AS-901 dual wide-angle infrared sensor is a high stability passive infrared sensor. 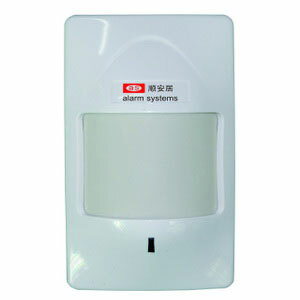 It adopts advanced signal analysis processing technology to provide superior detection and anti-false alarm performance. When an intruder passes the detection area, the sensor will automatically detect the activity of the human body in the area. If there is a dynamic movement phenomenon, it will send an alarm signal to the control panel. This product is suitable for home, residential areas, villas, factories, shopping malls, warehouses, office buildings and other places needing security protection.